On Wednesday September 10th the NoEL group visited Dr. Asp on 3 Danish islands to learn more about 5 specific attractions. 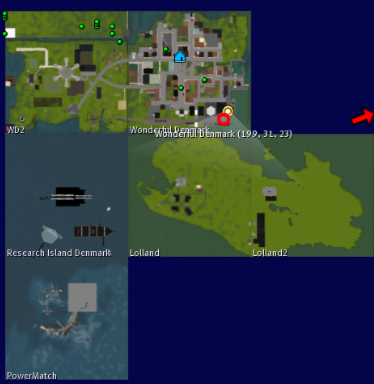 Wonderful Danish Island Complex, including Heidi Ballinger‘s PowerMatch and the Virtual Worlds Research project’s island; Research Island Denmark. 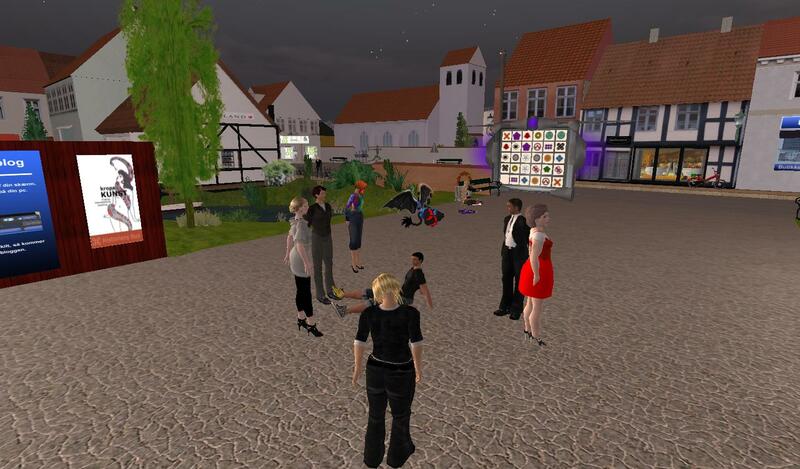 As usual some of the NoEL members meet at 20:00 at the town square on Wonderful Denmark for informal chat and sound rehaersal. 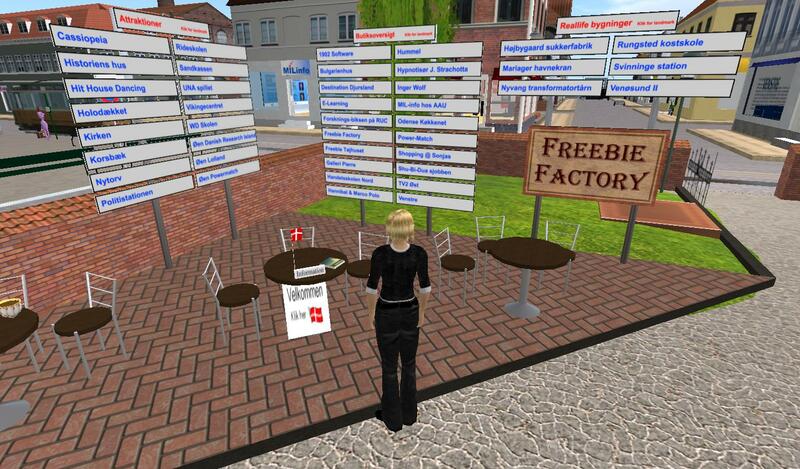 Here we also had the opportunity to welcome a SL newbie, Preben Mortenwold and invite him to join our group :-) Don’t give up, Preben – you’ll get the hang of it .. it is a whole new world! 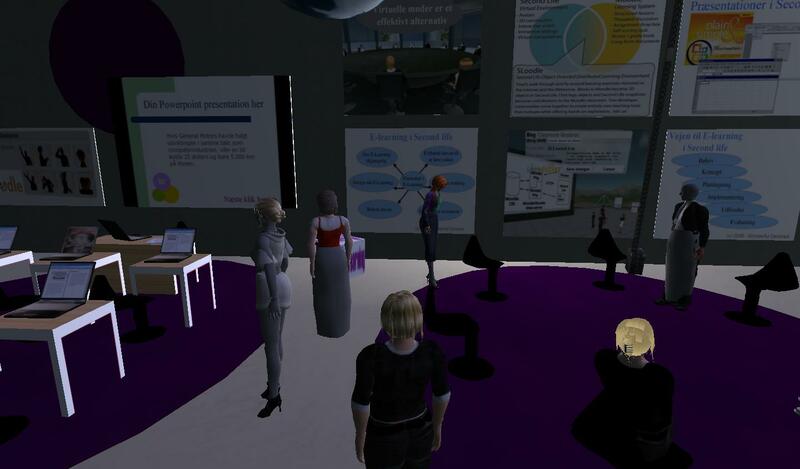 Here Dr. Asp told us a bit about his SL-based company, his work as a realtor and the services he and his team have to offer in-world. Please see the log below for further information on this. Then we headed off to our first location, Holodækket (The Holodeck), which offers 9 different settings/contexts. We were all quite baffled when standing inside the uterus of a pregnant woman looking straight at the fetus – what a surreal experience! 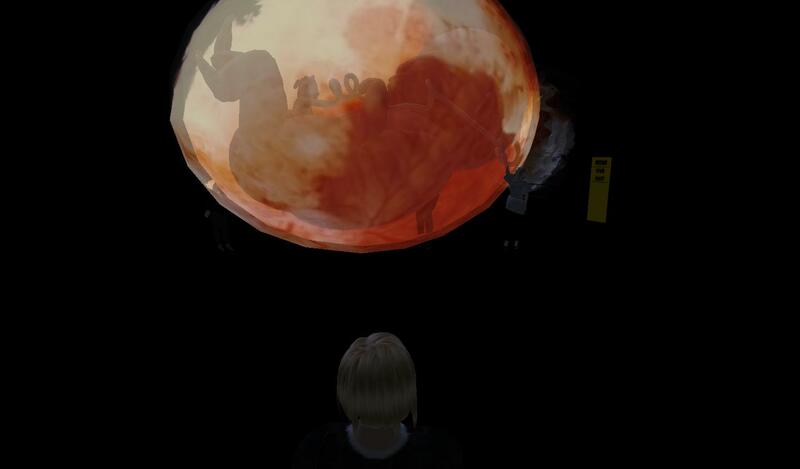 Imagine the learning potential if the different stages of a pregnancy were made like holodecs. 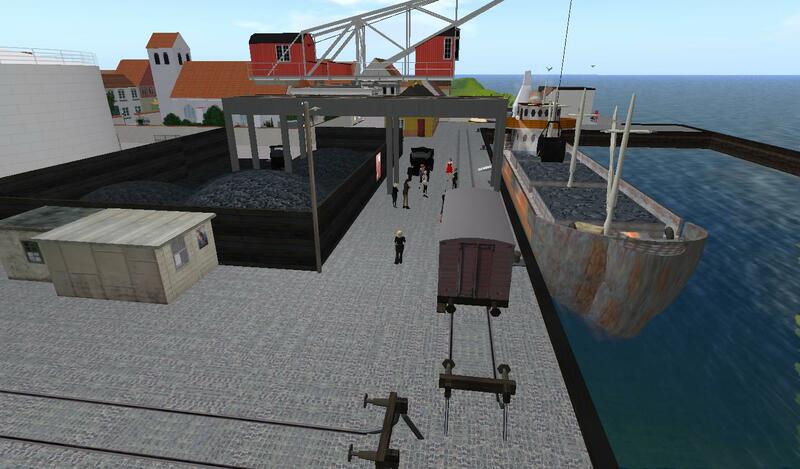 A great example of using SL to create things NpIRL! In fact we all agreed that the holodeck technique has a huge pedagogical potential – both in terms of respectful and radical remediation, role-playing, living history and more traditional informative purposes. 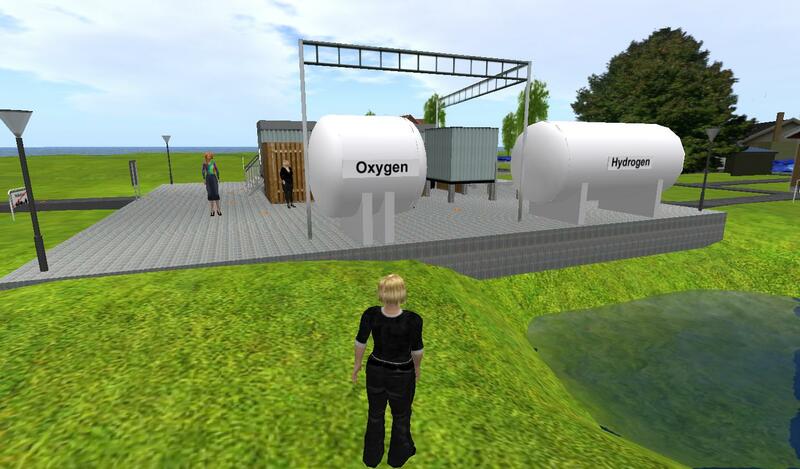 Next location was e-lærings huset (House of e-learning), where Dr. Asp showed us different 2D and 3D techniques applicable for e-learning in SL. 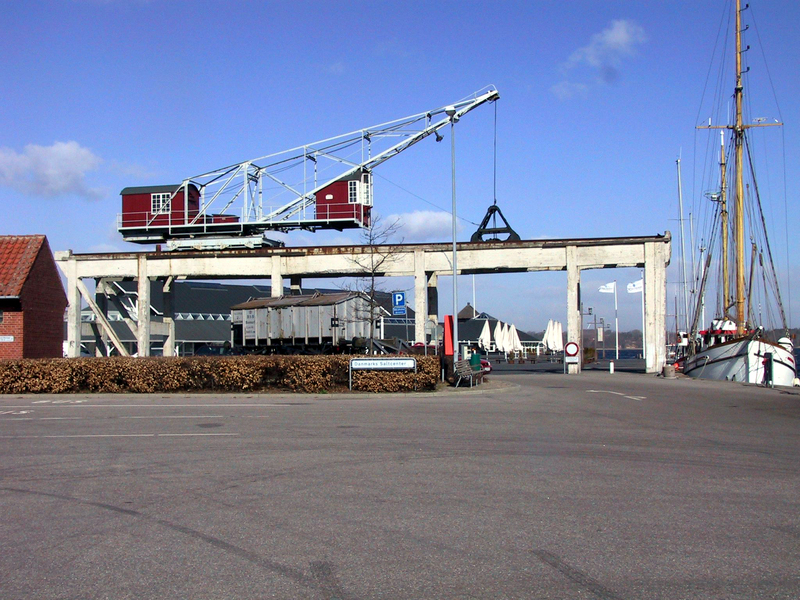 Our third location was Baltic Sea Solutions, which serves as a Community for Testing Facilities within Energy and Environmental Studies build also with the upcoming Climate Conference in Copenhagen, 2009 in mind. On location Dr. Asp and his team have build a Hydrogen test facility (RL), and on the ground you’ll find orange dots, that will guide you through in the most pedagogical/informative manner. Science On a Sphere (SOS)® is a room sized, global display system that uses computers and video projectors to display planetary data onto a six foot diameter sphere, analogous to a giant animated globe. 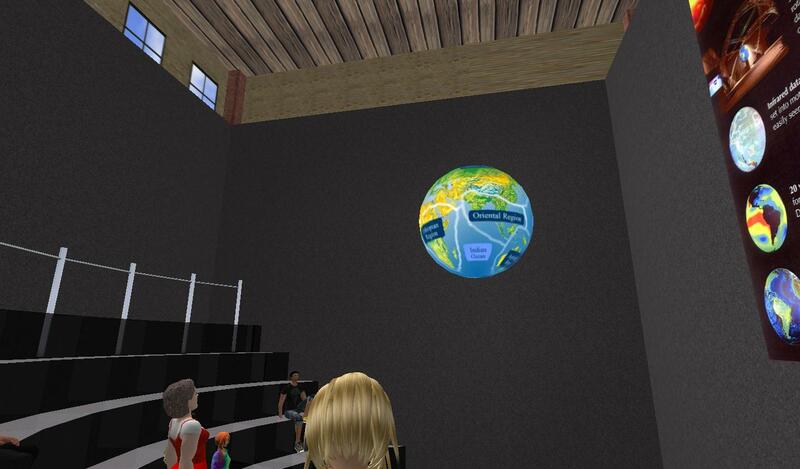 Researchers at NOAA developed Science On a Sphere® as an educational tool to help illustrate Earth System science to people of all ages. Animated images of atmospheric storms, climate change, and ocean temperature can be shown on the sphere which is used to explain what are sometimes complex environmental processes, in a way that is simultaneously intuitive and captivating. As I understand it the RL SOS has been extremely expensive and complex to build, so there is a reasonable cost-benefit argument for re-building in-world and potentially more people will have access. 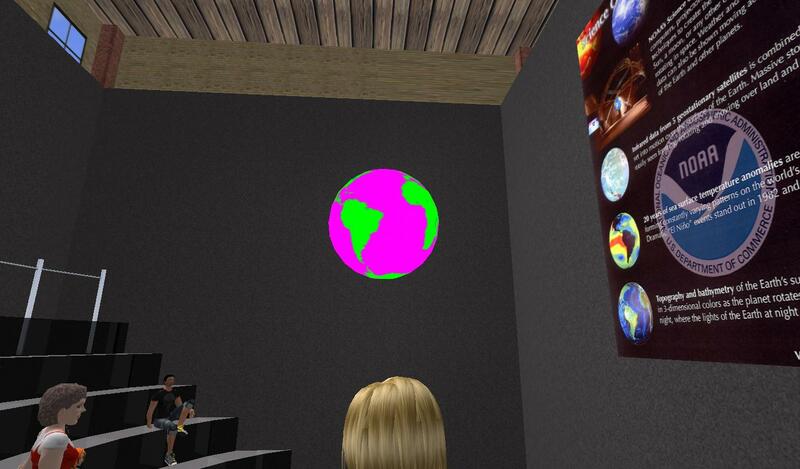 This is a project in progress, and Dr. Asp hopes to be able to animate the Sphere in more ways (based on RL data e.g. wind, temperature, demographics) in the future. Finally we went to see one of Dr. Asp’s personal favorites, Mariager havnekran (Crane of Mariager Harbour). Dr. Asp is fascinated by old buildings and enjoys rebuilding them as authentically as possible in SL. All in all it was a very inspirational tour, and even though I personally was jetlagged, I sensed that the NoEL group had a very nice evening. Dr. Asp and his team often build new things and we only saw a few of the many possibilities these islands have to offer, so I’m pretty sure we’ll return!